Do you require temporary traffic control for a major construction project or special event? No problem. Just toss a few orange cones around the site, and you’re all set, right? Not exactly. In the real world, traffic control for such projects demands intensive, long-term planning. And nobody surpasses Roadway Construction Service (RCS) when it comes to this high-level planning. For RCS, thoroughness is the name of the game. Not one shovel or cone touches ground until their team hits the drawing board and maps out a game plan for the city. Of course, that’s just for starters. Traffic control planning also requires RCS to coordinate the processes of multi-phase work, particularly with utility companies. These include utility connections involving sewers, gas, water, and electricity. Each of these components requires specific traffic control solutions. And you thought it was easy. 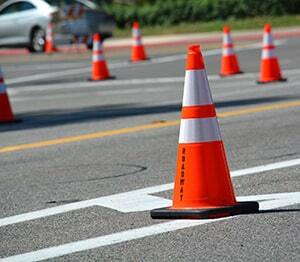 Fortunately, Roadway Construction Service has the expertise, experience, and knowledge to carry out temporary traffic control planning and implementation with flawless precision. Contact Roadway Construction Service to learn more about why they set the gold standard for customer service, planning, and permitting in the traffic control industry.